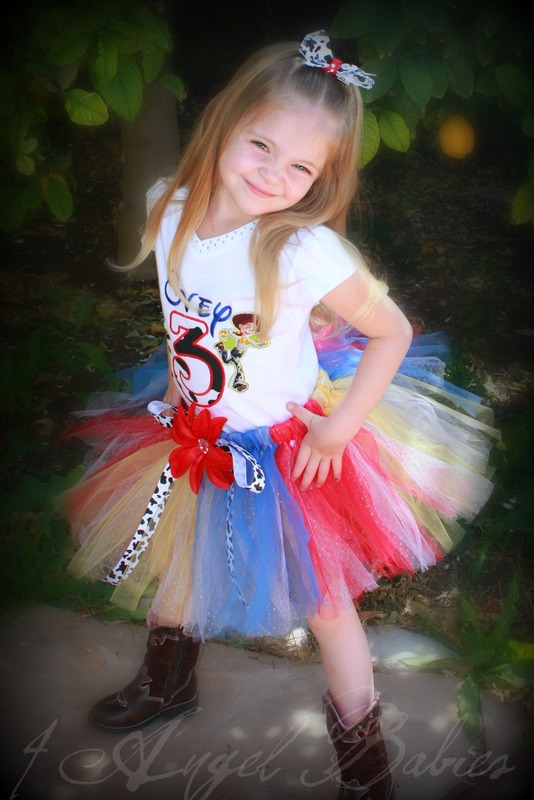 Jessie from Toy Story Inspired 3 Piece Birthday Tutu Outfit - $54.50 : 4 Angel Babies, Custom Creations for the Angels in your life! Looking for something else, just ask! I have hundreds of patterns and fabric combinations. 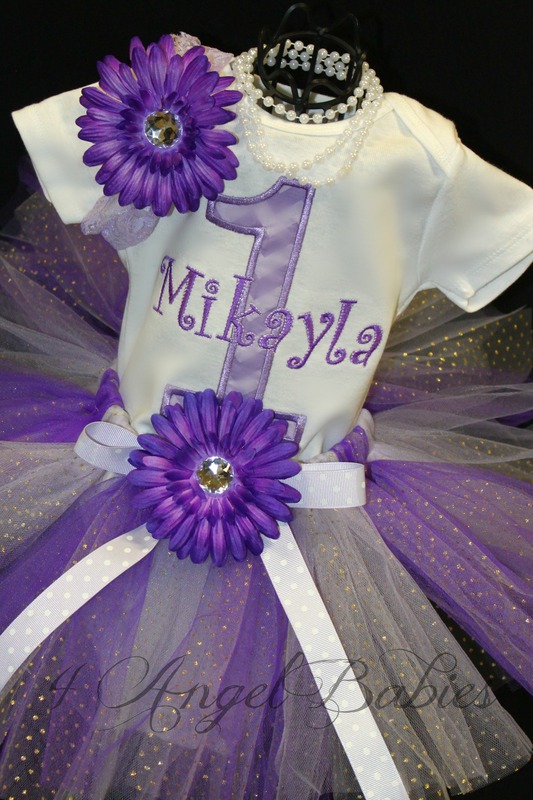 Can be made into regular shirt without the number or birthday top. This is not a licensed Disney product. It is however, hand-crafted from licensed Disney fabric. I am not affiliated with or sponsored by Disney or Pixar Enterprises. 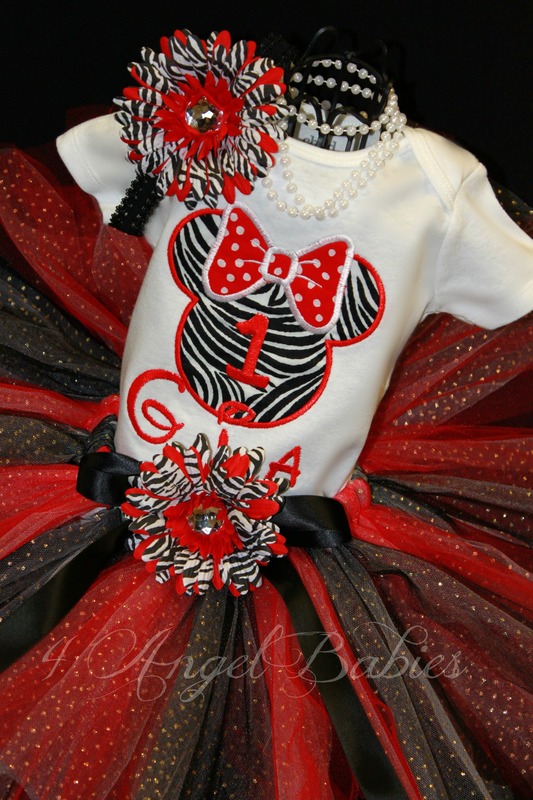 Let your little angel be a princess on any special occasion, first birthday, Halloween, party, wedding, trip to Disneyland or Disney World or photo shoot with one of my enchanting TuTu Birthday Outfits (this can be made w/o the number). 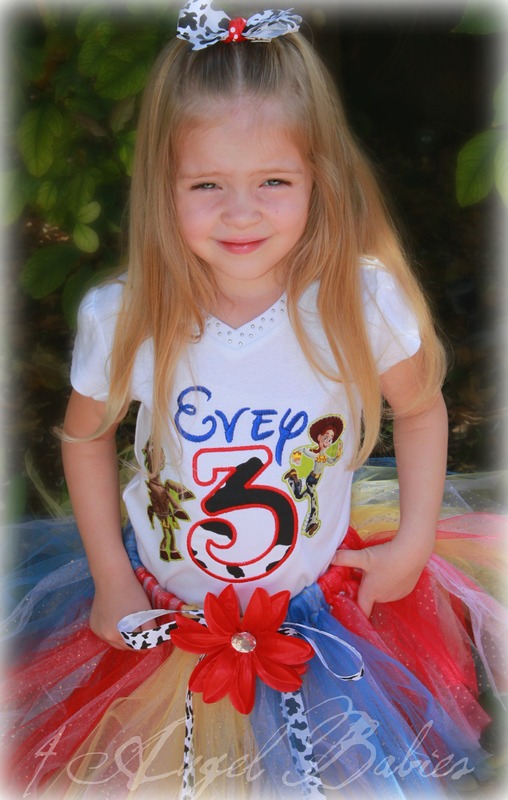 This precious Jessie from Toy Story outfit is made with soft, fluffy layers of red, blue, yellow and gold glitter dot tulle embellished with a cow print bow and flower clip. The top has added pizazz with elaborate embroidery. Includes your choice of matching headband or hair clip for hair. Flower/bow on skirt is a detachable hair clip. 1. 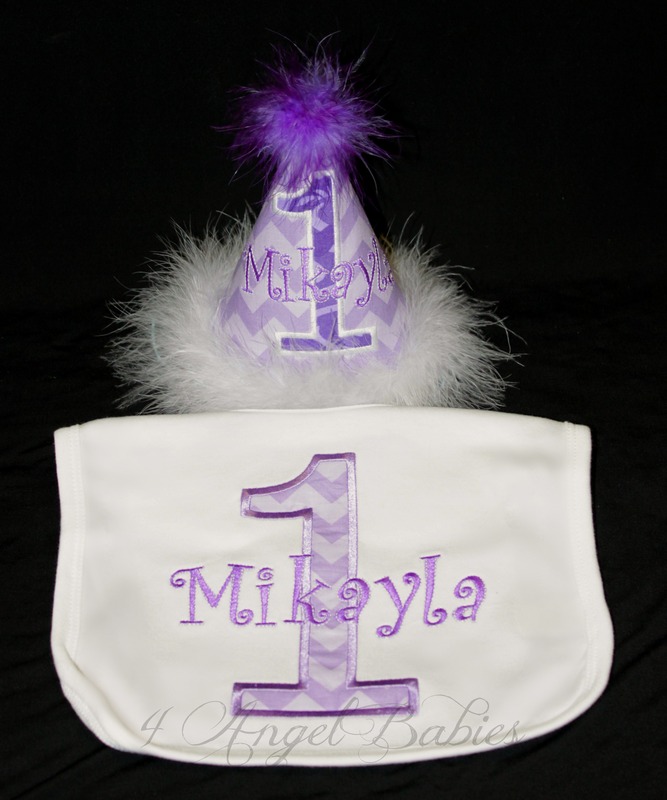 Custom Appliqued Jessie Top- (Answer size, style, and birth number) Additional characters $5 ea. *Top in photo is available in size 5t or 6 as the girls rhinestone top...other styles will look different.